Sarah E. AlBeltagi, Helmy A. Torky, Mahmoud E. Seddeek. Seventeen avian infectious bronchitis virus (IBV) isolates were isolated from broiler chickens showing respiratory and renal lesions. The isolated strains were characterized by real time reverse transcriptase polymerase chain reaction used for N gene, and then RT-PCR and sequence analysis of the hypervariable region 3 of the S1 spike glycoprotein gene of six isolates. Six isolates showed 87.15% to 89.71 % and 87.27% to 90.82% amino acid sequence identity and 87.61% to 89.19 % and 87.91% to 89.72% nucleotide sequence identity to the Egyptian variant 1 and the IS/885 strains, respectively. The six isolates formed a distinct phylogenetic group with the Ck/Eg/BSU-2/2011 and Ck/Eg/ BSU-3/2011 (Var 2). Amino acid and nucleotide identities between the six Egyptian isolates and variant 2 (Ck/Eg/BSU-2/2011 and Ck/Eg/BSU-3/2011) ranged from 97.27% to 100% and 97.88% to 99.38%, respectively. The results indicate that the six isolates IBV/CK/Beh/101/013/S1,IBV/CK/Beh/204/013/S1,IBV/CK/Beh/105/013/S1,IBV/CK/Beh/1011/013/S1,IBV/CK/Beh/1017/013/S1,IBV/CK/Beh/2020/013/S1 can be considered a variant 2 as Ck/Eg/BSU-2/2011 and Ck/Eg/BSU-3/2011. This study demonstrates a constant evolution of IBV in Egypt that necessitates continuous monitoring to control the spread of infections, and the development and use of vaccines based on indigenous viruses. Key words: Antigenic variations, Infectious Bronchitis virus, RT-PCR, Sequencing. Abdel-moneim, A.S., Madbouly, H.M., Gelb, J.R. and Ladman, B.S. 2002. Isolation and identification of Egypt/Beni-Suef/01 a novel genotype of infectious bronchitis virus. Vet Med J Giza, 50: 1065-1078. Abdel-moneim, A.S., Afifi, M.A., El-Kady, M.F. 2012. 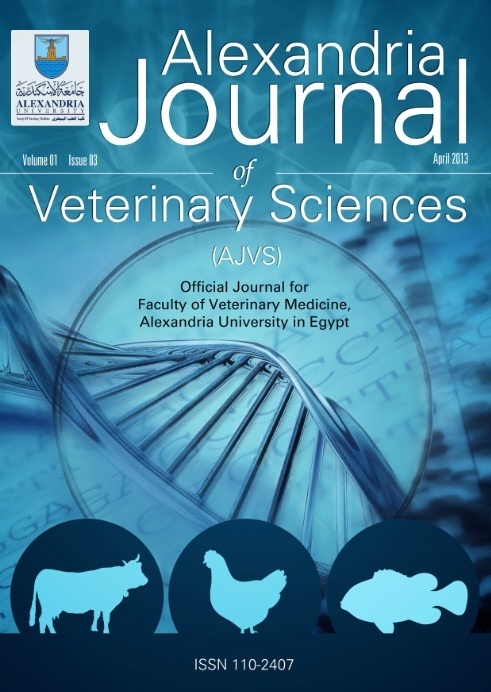 Emergence of a novel genotype of avian infectious bronchitis virus in Egypt. Arch Virol, 157:2453&#8211;2457. Ahmed HN. 1954. Incidence and treatment of some infectious viral respiratory diseases of poultry in Egypt. PhD thesis Fac Vet Med Cairo Univ Egypt. Antarasena, C., Nuansrichay, B., Thongmee, S. and Intarasarn, M. 2008. S1 Glycoprotein Gene Analysis of Infectious Bronchitis Virus Strains Isolated in Southern Thailand Proceedings, The 15th Congress of FAVA - OIE Joint Symposium on Emerging Diseases (pp 147-150), Bangkok, Thailand. Cavanagh, D. 1997. Nidovirales: a new order comprising Coronaviridae and Arteriviridae. Arch. Virol. 142: 629-633. Cavanagh, D. and Naqi, S. 2003. Infectious bronchitis, In diseases of poultry, Y. M. SAIF, H. J. BARNES, J. R. GLISSON, A.M. FADLY, L.R. McDOUGALD, and D.E. Swayne, eds. (Ames, Iowa: Iowa state university Press), pp 101-119. Cavanagh, D., Davis, P., Cook, J., Li, D., 1990. Molecular basis of the variation exhibited by avian infectious bronchitis coronavirus (IBV). Adv. Exp. Med. Biol. 276, 369&#8211;372. Cavanagh D, Davis PJ, Cook J. 1992. Infectious bronchitis virus: evidence for recombination within the Massachusetts serotype. Avian Pathol 21:401&#8211;408. Cavanagh D, Davis PJ, Mockett APA. 1988. Amino acids within hypervariable region 1 of avian coronavirus IBV (Massachusetts serotype) spike glycoprotein are associated with neutralization epitopes. Virus Res 11:141&#8211;150. El-Kady MF. 1989. Studies on the epidemiology and means of control of infectious bronchitis disease in chickens in Egypt, PhD thesis. Faculty of Veterinary Medicine, Cairo University, Egypt. Gelb, J., Jr. and Jackwood, M.K. 1998. Infectious bronchitis. In: A laboratory manual for the Isolation and Identification of Avian Pathogens. 4th Ed. AAAP: 169-174. Gelb J. Jr., Weisman Y., Ladman B.S., Meir R. 2005. S1 gene characteristics and efficacy of vaccination against infectious bronchitis virus field isolates from the United States and Israel (1996 to 2000), Avian Pathol. 34:194&#8211;203. Holmes KV, Lai MM. 2001. Coronaviridae: the virus and their replication. In: Fields BN, Knipe DM, Howley PM (eds) Fundamental virology, 4th edn. Lippincott-Raven, Philadelphia, pp 1163&#8211;1203. Jackwood MW, Hall D, Handel A. 2012. Molecular evolution and emergence of avian gammacoronaviruses. Infect Genet Evol 12(6):1305&#8211;1311. Jackwood, M.W., Yousef, N.M., Hilt, D.A. 1997. Further development and use of a molecular serotype identification test for infectious bronchitis virus. Avian Dis. 41, 105&#8211;110. Kwon, H.M., Jackwood, M.W. & Gelb, J. 1993. Differentiation of infectious bronchitis virus serotypes using polymerase chain reaction and restriction fragment length polymorphism analysis. Avian Diseases, 37, 194&#8211; 202. Lee, C.W., Hilt, D.A., Jackwood, M.W. 2000. Redesign of primer and application of the reverse transcriptase-polymerase chain reaction and restriction fragment length polymorphism test to the DE072 strain of infectious bronchitis virus. Avian Dis. 44, 650&#8211;654. Lin, Z., Kato, A., Kudou, Y. & Ueda, S. 1991. A new typing method for the avian infectious bronchitis virus using polymerase chain reaction and restriction enzyme fragment length polymorphism. Archives of Virology, 116, 19&#8211; 31. Meir, R., Maharat, O., Farnushi, Y. and Simanov, L. 2010. Development of a real- time TaqManÂ® RT-PCR assay for the detection of infectious bronchitis virus in chickens, and comparison of RT-PCR and virus isolation. Journal of Virological Methods, 163: 190&#8211;194. Mockett, A.P.A., Cavanagh, D. & Brown, T.D.K. 1984. Monoclonal antibodies to the S1 spike and membrane proteins of avain infectious bronchitis virus coronavirus strain Massachusetts M41. Journal of General Virology, 65, 2281&#8211;2286. Moore KM, Jackwood MW, Hilt DA. 1997. Identification of amino acids involved in a serotype and neutralization specific epitope within the S1 subunit of avian infectious bronchitis virus. Arch Virol 142:2249&#8211;2256. Schalk, A.F. and Hawn, M.C. 1931. An apparently new respiratory disease of baby chicks. J. Am. Vet. Med. Assoc. 78: 413- 422. Sheble, A., Sabry, M.Z., Davelaar, F.G., Burger, A.G., Khafagy, A.K., Moustafa, F., Moustafa, M.M. and Henna, M. 1986. Present status of infectious bronchitis in Egypt. J Egyp Vet Med Assoc. 4: 393-411. Stern DF, Sefton BM. 1982. Coronavirus proteins: structure and function of the oligosaccharides of the avian infectious bronchitis virus glycoproteins. J. Virol 44:804&#8211;812. Sultan, H.A., Tantawi, L., Youseif, A.I. and Ahmed, A.A.S. 2004. Urolithiathis in white commercial egg laying chickens associated with an infectious bronchitis virus. 6th Sci Conf Egyp Vet Poult Assoc 155-169.
International J. of Poultry Science 2018; 17(10): 493.